Dorothy was born May 2, 1941 in Fillmore to Raymond and Mary Morales. She attended the local elementary schools and in high school she was a popular classmate and a cheerleader who proudly represented her school. In 1959 she graduated from Fillmore High School. Soon after high school she married Joe Sandoval and together they had three beautiful children which were her pride and joy. Dorothy worked many years at the Saticoy Lemon Packing House in Fillmore. Later she went on to work at The Foxboro Company in Valencia until the closing of the plant. She was also a primary caregiver for her parents until their resting days which was her promise to them. Dorothy loved gardening, as everyone could see by the pride she took in her yard. Taking 1st place in Candy Cane Lane on Cook Drive, back in the days along with Yard of the Month. She loved working in the home whether it be painting, decorating, sewing, crocheting or embroidery. Some people were fortunate enough to receive her handmade crafts. She was known for her sense of fashion. She always had her hair and makeup done, her nails perfectly manicured and didn't leave the house without looking glamorous whether she was running errands or going out for a special occasion. She enjoyed spending time with family and friends. Once she had grandchildren and great grandchildren she loved visiting with them especially on holidays. She was preceded in death by her parents Raymond and Mary Morales, infant sister Arsenia and brother. Dorothy is survived by her children, Joseph, Crystal and Anthony Sandoval, sister Linda Alba, grandchildren Jonathan (Nikki) and Jenna Sandoval, David (Nicole) Valenzuela and Alex (Mandy) Valenzuela, Great-grandchildren Nathan and Alexis Valenzuela, Riley and Brandon Valenzuela, Jurae and Robinson Sandoval along with several nieces, nephews and cousins. Funeral Services for Dorothy will be Wednesday, March 27th at St. Francis of Assisi Catholic Church, 1048 Ventura Street, Fillmore, CA beginning with the recitation of the rosary at 10:00 AM and followed immediately with a Funeral Mass. A reception immediately following in the church hall. 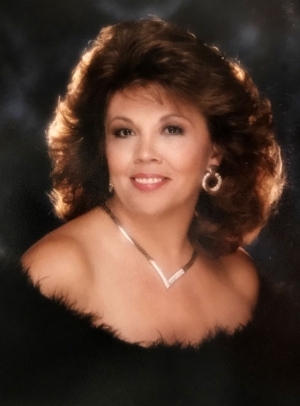 For map and directions to the ceremony location and to sign the family's online guest book, share stories and post pictures please visit our website: www.santapaulafuneralhome.com and click on Dorothy's name located below "Recent Obituaries".